DESIGNERS.……………we have all been on numerous store checks, too many to count, and have seen our share of displays where we thought…..hmmmm…..if they just shoulda-coulda-woulda? 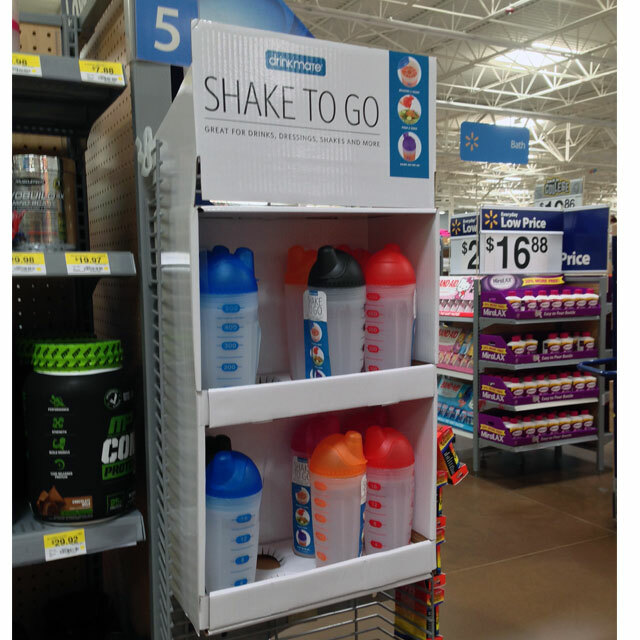 On a recent store check, our ‘designer senses’ went off when we spotted this side kick display that merchandised beverage holders. See it yet? Take a look up top at the improperly installed riser. 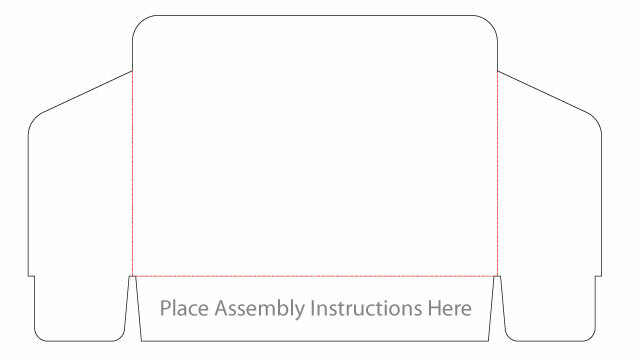 We cannot be certain that a retail assembly sheet wasn’t provided, but if so, someone didn’t read it. As a designer in the POP world, one of the top objectives when the pencil hits the paper is to ensure that all options for potential retail mistakes are vetted out. A very simple and FREE solution to the situation with the riser above is to print the assembly instructions on the bottom flap that gets folded inward. This same area could also illustrate removal of any shipping fillers and the installation of the hanging clips as well. Many of you might be thinking DUH, what’s the big deal in printing assembly instructions on display components? And to those who are of that mindset, kudos as you already crossed the threshold to compliance! Check out the links below to gain some insights on other riser treatments at retail. If you have a unique ‘retail assembly’ story you would like to share, please do not hesitate to reach out.